This air quality monitor application is part of a series of how-to Internet of Things (IoT) code sample exercises using the Intel® IoT Developer Kit, Intel® Edison board, Intel® IoT Gateway, cloud platforms, APIs, and other technologies. 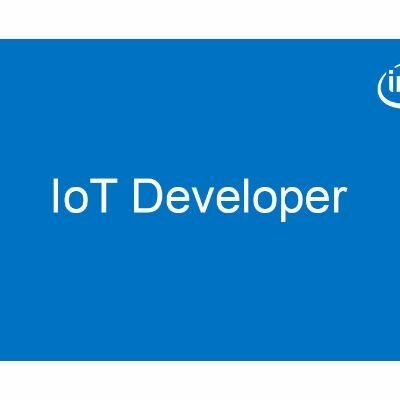 Connect the Intel® Edison board or Intel® IoT Gateway, computing platforms designed for prototyping and producing IoT and wearable computing products. Interface with the Intel® Edison board or Arduino 101* (branded Genuino 101* outside the U.S.) IO and sensor repository using MRAA and UPM from the Intel® IoT Developer Kit, a complete hardware and software solution to help developers explore the IoT and implement innovative projects. Store air quality data using Azure Redis Cache* from Microsoft Azure*, Redis Store* from IBM Bluemix*, or Elasticache* using Redis* from Amazon Web Services (AWS)*, different cloud services for connecting IoT solutions including data analysis, machine learning, and a variety of productivity tools to simplify the process of connecting your sensors to the cloud and getting your IoT project up and running quickly. Connect to a server using IoT Hub from Microsoft Azure*, IoT from IBM Bluemix*, IoT from Amazon Web Services (AWS)*, AT&T M2X*, Predix* from GE, or SAP Cloud Platform* IoT, different cloud-based IoT platforms for machine to machine communication. How heart Rate sensor work in smartphone? which mobile has this sensor? which camera sensor is best in the smart phone? How to turn our smartphone in a programmable sensor ? what is the use of gravity sensor in smartphone ?